We made MANY of the boat windshields on the boats in the water today. We still have the original molds for most of the ones we have made. Therefore, we have the capability to make you a replacement windshield that looks just like your original windshield. 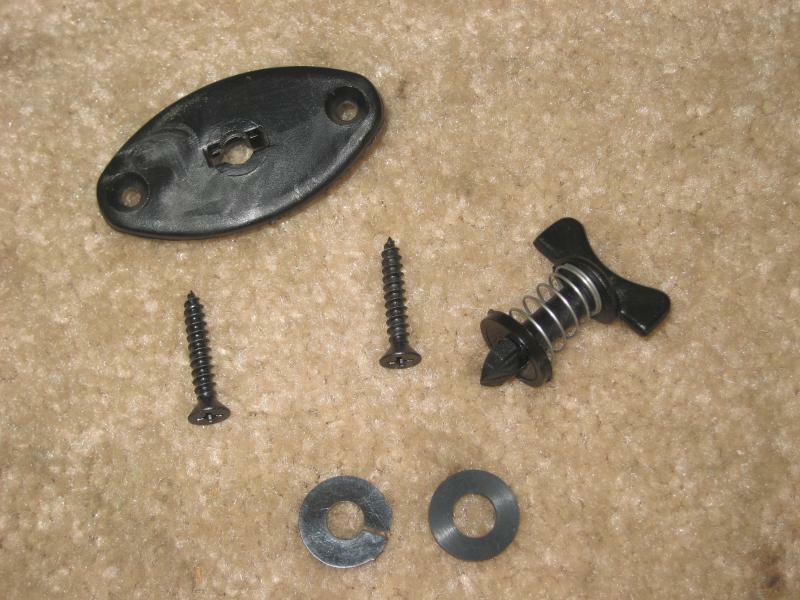 Mounting hardware is included with all new windshields. 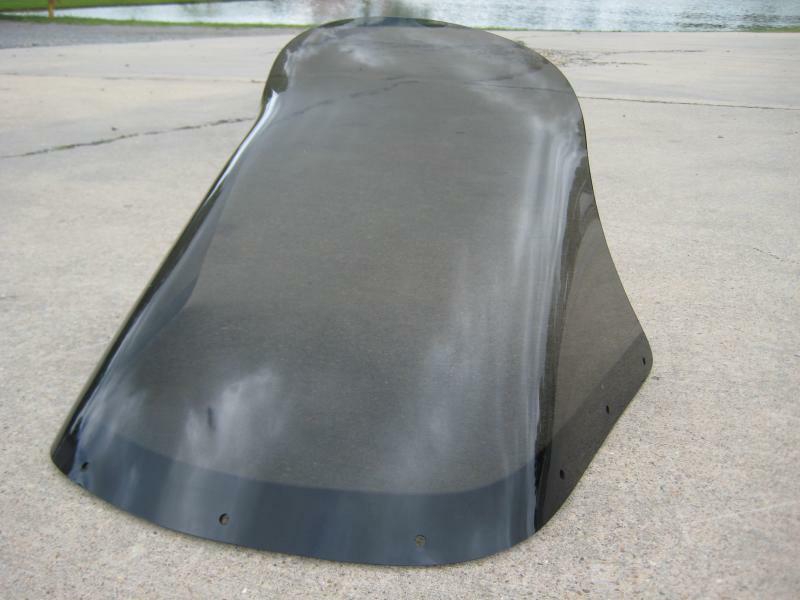 SEND IN YOUR OLD WINDSHIELD for identification and we will contact you with a price once we get it. Most prices are around $110- $140 ea plus shipping. PLEASE VIEW THE FREQUENTLY ASKED QUESTIONS BELOW BEFORE SENDING IN YOUR WINDSHIELD OR CALLING. If you dont have a windshield to send or do not wish to send your windshield you will need to make a template of your windshield. To make a template, you will either trace the bottom of your windshield onto paper or poster board or if you dont have a windshield you will need to get a piece of cardboard or posterboard and trace the shape of the area of the console where your windshield was mounted. This will show us what the SHAPE OF THE BOTTOM OF THE WINDSHIELD would have been. For answers to your how to make a template questions see the instructions below or Contact Us! HOLES....there have been some inconsistencies in hole placement throughout the years for various reasons. If you send a windshield for replacement we will drill the holes to match your original hole pattern. If you send a template, you will have two choices, 1. we will drill holes based on the latest hole pattern in our files (you would have to patch holes in your console if the pattern doesnt match what you already have) 2. we will send you a drill bit designed to drill acrylic for you to drill the holes but we ARE NOT RESPONSIBLE for the windshield if you break it while drilling. ****PLEASE DO NOT SEND IN ANY WINDSHIELDS THAT GO IN METAL FRAMES. WE DO NOT MAKE GLASS WINDSHIELDS THAT MOUNT IN METAL FRAMES AND ARE SORRY BUT WE CANNOT ASSIST YOU IN YOUR WINDSHIELD NEEDS!!!! You cannot order by part numbers. The boat company's dont provide us with the boat information to match our windshields, so part number are irrelevant to us. We will send your old windshield back with your new ones. Hardware is included with all windshields ordered. We also carry all of the hardware you would need for your windshields.